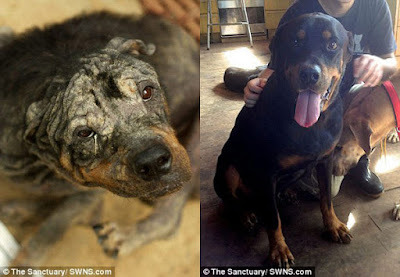 Before and After Photos of Adopted Rottweiler will melt your heart ! This is Tiny, an abandoned Rottweiler in Taiwan who was close to death in a Taiwanese dog pound until a British expat rescued him. The results of his recovery are simply amazing. 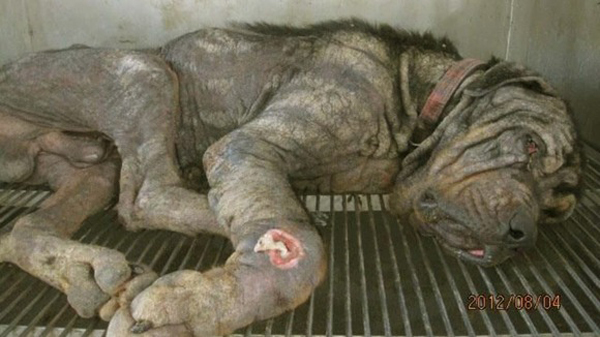 Judging by the dog's terrible condition, it seemed he was left in the street to die. 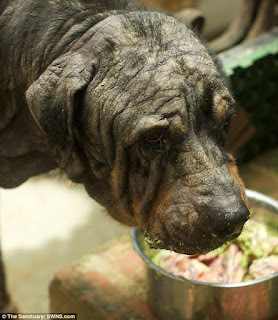 His skin was ravaged by a terrible case of mange, he was emaciated and so neglected, he didn't seem to care about living. But after British expat Sean McCormack took him in and helped him recover the dog had a miraculous transformation. 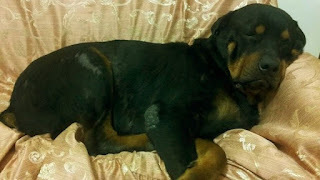 Here are some photos Sean took before and after the recovery process. 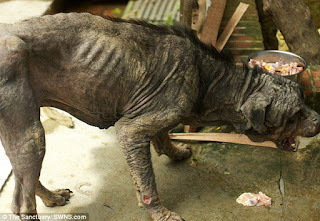 Not only he transformed completely, but he made such a recovery he was crowned the grand champion at the a dog show. Tiny was crowned the Grand Champion of Ruffs 2014.